It may sound to some like motoring nirvana, but for one UK city, the prospect of a parking ticket is one less thing to worry about. The Welsh city of Newport is currently a ‘park wherever you like’ zone as a handover of responsibilities from the local police to the local council takes place this year. Gwent Police have relinquished responsibility for parking enforcement and these powers will be taken over by Newport Council on July 1st, but in the meantime the police force has admitted that parking enforcement is ‘not a policing priority’. This stance has led to a free-for-all in the Welsh city, with car owners parking in residential areas, the city centre and double-yellow lines with one local resident calling the scenes ‘absolute chaos’. But the police will not be handing out any more parking tickets in Newport, saying: “We currently have two Community Support Officers who regularly patrol the area, carrying out enforcement among other priorities. 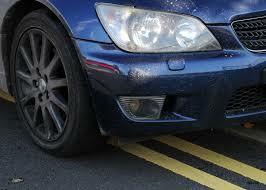 Police officers are currently responsible for parking enforcement. While it may seem like an interesting social experiment to see how a city copes with no parking laws, that dream scenario for drivers will end on July 1st and the councillors are already counting down the days for handover. Councillor Roger Jeavons said last month: “With the police withdrawing from enforcement, and continuing dissatisfaction being expressed by residents and businesses across the city regarding the rising levels of illegal parking, the introduction of civil parking enforcement is widely welcomed across the city.